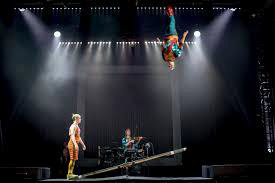 In 2015 Cirkus Cirkör celebrated its 20th anniversary of crossing boundaries! 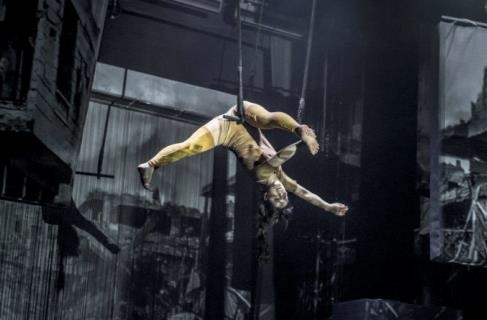 Under the artistic leadership of Tilde Björfors, Cirkus Cirkör has consistently explored and defied limits through performances and research projects, as well as through the interactions of circus and society, audiences and participants. 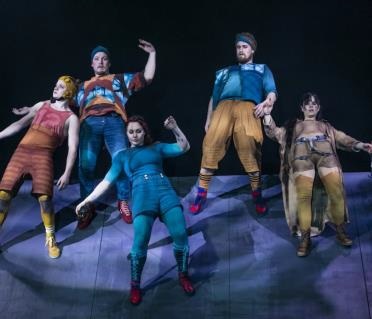 In light of Europe’s ever-tightening boundaries against the world beyond its borders, and the consequences that closed borders bring in their wake, Cirkus Cirkör’s voice as an advocate for crossing boundaries has grown stronger. 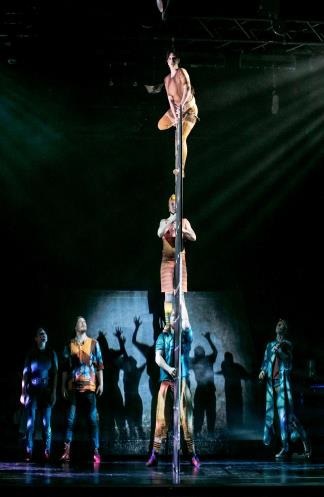 After seeing Cirkör’s 2015 production “Borders”, the Swedish daily Dagens Nyheter’s reviewer proclaimed Cirkus Cirkör the creator of a new genre: contemporary circus activism. Are limits real or imaginary? Are they a dead end, or a motivation to search for new paths? Someone has drawn up lines and divided the world into various delimited areas. We build fences around our gardens, walls, barricades, place armed soldiers around our countries. But human beings have never wanted to stay in one and the same place. 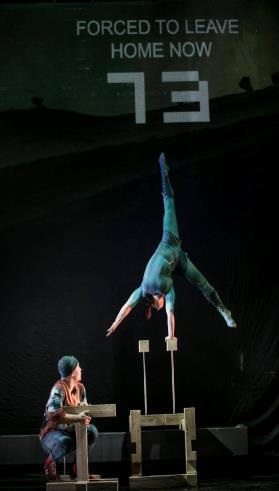 In classic Cirkus Cirkör style, Limits will turn perspectives on their heads. With energy, a focus on what is possible and cocky commitment a world of fleeing, migration and new frontiers is balanced against the artists’s individual limits in terms of risk, pain, the limitations of the group and of the body. Stepping over boundaries is hard without moments of chaos and disorder, but the state of today’s world demands new approaches! 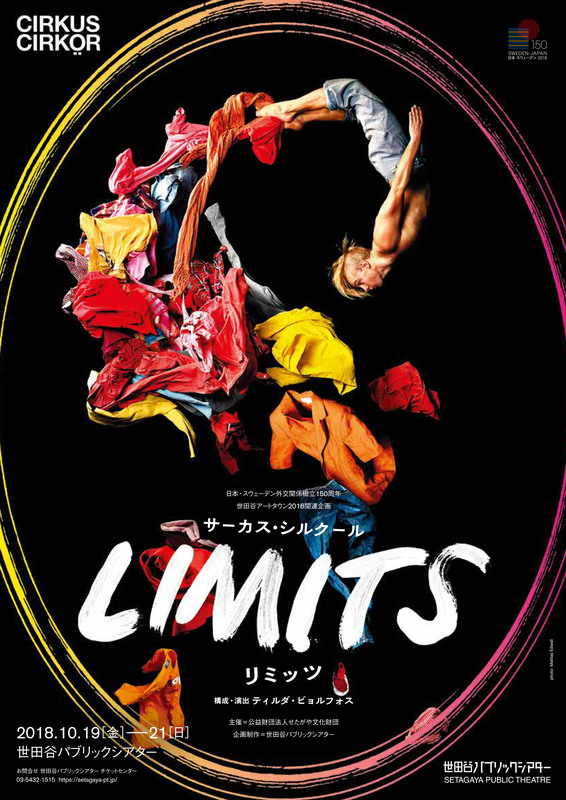 Limits is conceived and directed Tilde Björfors, Cirkus Cirkör’s founder and artistic director, who is also the director behind most of Cirkus Cirkör’s major successes such as Borders, Knitting Peace, Wear it like a crown and Inside out. Besides being at the helm of Cirkus Cirkör, Tilde has held a professorship at the School of Dance and Circus in Stockholm, where she presented the research project Circus as transgressor in art and society. 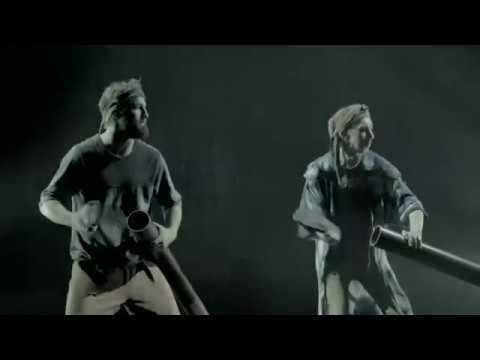 Limits’ ensemble has worked across boundaries as co-creators of the production. A childcare service is normally available for performances staged at Setagaya Public Theatre and Theatre Tram for which advance tickets are sold. You may reserve childcare services up to noon of the day 3 days before the desired reservation time, but when the number of children registered reaches capacity, applications will closed. So please make your reservation well in advance. Also, please consult with the theatre regarding children with special needs. Both Setagaya Public Theatre and Theatre Tram are equipped with wheelchair spaces to allow visitors to watch performances from their wheelchairs. However, as capacity is limited, use of wheelchair spaces is by reservation only. Wheelchair spaces may be reserved up to 19:00 on the day before the desired date, but when the number of reservations reaches capacity, applications will be closed. So please make your reservation well in advance. Also, for wheelchair users who prefer to watch the performance from a regular seat, the theatre will smoothly guide them too and from their seat. Please contact the theatre in advance to take advantage of this service. From 10:00 on Sun 29 July 2018. (*1) Students are required to present their certificate at the day.Free only when viewing on the lap of the Guardian under the age of 3. (If you need a seat, please buy a child ticket.). (*2) Limited quantity. Please see here regarding U24. (*3) Only available during advanced sales. Regarding the SePT Club, see here. (*4) Only available during advanced sales. Regarding the Setagaya Arts Card, see here. Primary school or less of children must be accompanied by a guardian . Individuals who arrive late may not be able to sit in their reserved seat.